These Bag Can Be Used As Shoulder Bag And Crossbody Bag,You Can Wear It For Traveling And Shopping,And Also For School. 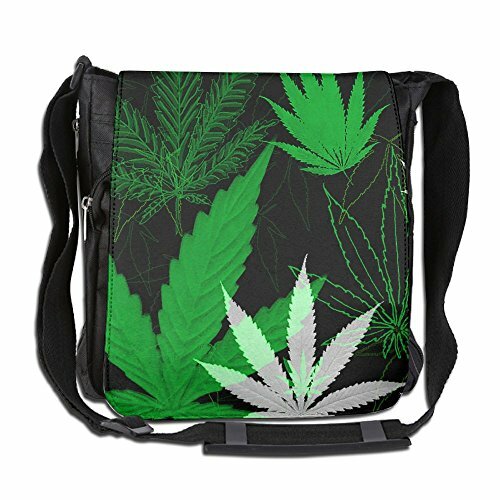 Green Weed Leaves Messenger Bag Made From 100% High Quality Polyester. Normally Delivery Time:7-14 Working Days. Adjustable Shoulder Strap,Multiple Pockets For Easy Arrangement Of Stuff. Perfect For Work,Drive,School,Outdoor Sports And Travel. If you have any questions about this product by XIHUANGNI, contact us by completing and submitting the form below. If you are looking for a specif part number, please include it with your message.